Enjoy 85-degree luxury, year-round, with our full line of Jandy® pool heaters. Gas pool heaters will help extend the pool season and increase the value of your home. Your pool will heat quickly and have an even temperature at half the cost of an electric unit. Gas appliances have become increasingly more efficient in recent years. With innovations in hydraulics, heat exchanger technology, forced draft combustion systems, and pilot-less ignitions, efficiency has almost doubled in recent years. 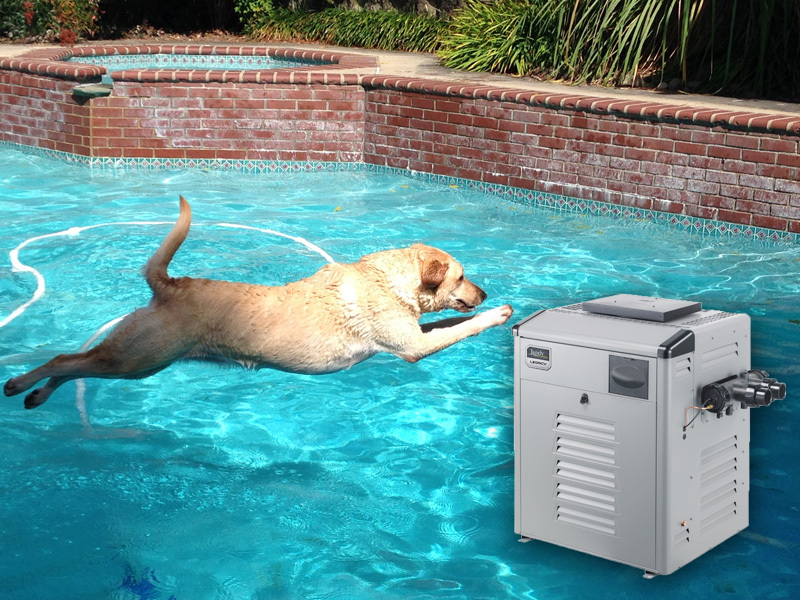 High efficiency pool heaters are now available that are 89-95% efficient. Squeezing every bit of useful energy out of fuel burned not only conserves non-renewable resources and protects the environment, it makes good economic sense. Have Questions About Our Pool Heaters?